Hosts of THE TALK welcome Hot 97 radio personality Angie Martinez as a “Top Talker” live in New York, Monday, May 13, 2013, on the CBS Television Network. THE TALK returns to New York City the second time this season for a week of episodes to be broadcast Monday, May 13 – Friday, May 17 (2:00 PM, ET / 1:00 PM, PT/CT) on the CBS Television Network. 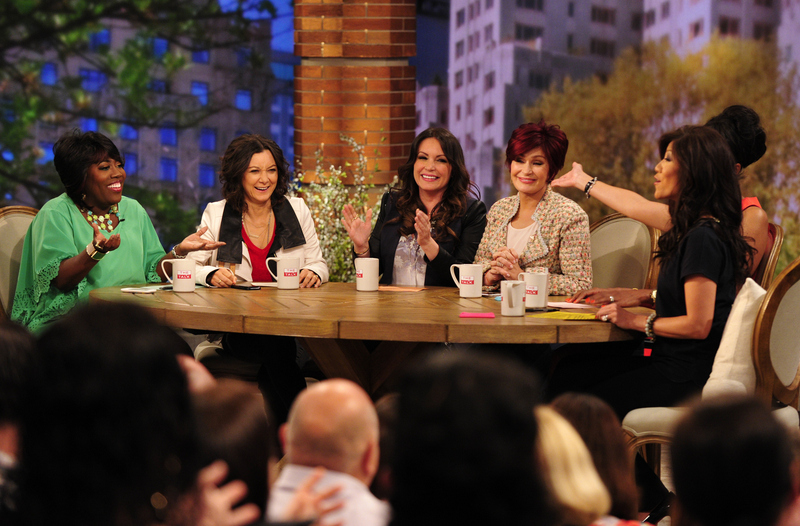 Sheryl Underwood, from left, Sara Gilbert, Angie Martinez, Sharon Osbourne, Aisha Tyler and Julie Chen, shown. Photo: John Paul Filo/CBS ©2013 CBS Broadcasting, Inc. All Rights Reserved.